US Wellness Meats is a Missouri-based meat delivery service that has been offering only grass-fed, all-natural meat from family-owned farms since the year 2000. Its offer includes everything from beef and bison to seafood and poultry, as well as some pretty interesting and delicious farm-fresh products like cheese, butter, and broth. 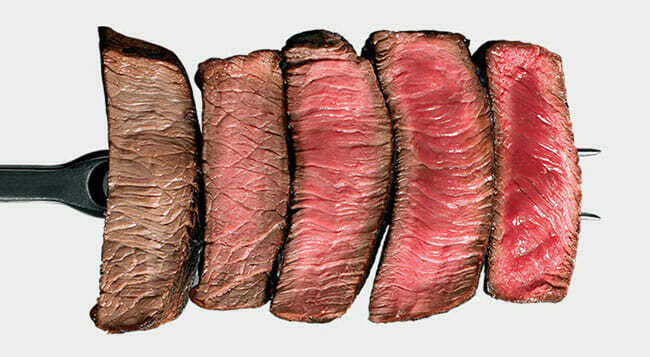 If you hate what the big, bad, profit-oriented businesses have done to cattle raising practices and want to get healthy meat and farm products from farmers who respect their cattle, our planet, and each and every one of their customers, read this US Wellness Meats review to learn all about this nature-oriented meat delivery. Ordering from US Wellness Meats includes 3 simple steps. You browse its offer, choose the items that you want to get, and complete the checkout process. No subscription is required. The only limitation is the minimum order. Your delivery needs to be worth at least $75 and it needs to weigh at least 7 pounds. When choosing what to get, you have plenty of options at your disposal. You can order beef, lamb, bison, pork, seafood, poultry, organs, fats, bones, broth, butter, cheese, groceries, healthy snacks, and/or pet food. You can browse each category with subsections aiding your search, you can narrow your choice down to items for special diets or you can see what is currently on sale and save some cash on your favorite products. As there are no subscriptions, all orders are of the one-off kind and you can shop as often or as rarely as you wish. Packages are shipped quickly, usually within a day. If there is something wrong with your delivery, you can let the service know and receive store credit that you can use for your future orders. US Wellness Meats does not need any special marketing tricks or enticing extras to attract meat lovers’ attention. It has managed to build a large community of patrons simply by offering premium quality products without harming the planet. Its regular customers include everyone from professional chefs and athletes to home cooks who know exactly what good meat should look, smell, and taste like. The meat you get from US Wellness Meats is grown in accordance with the best practices inspired by the grazing habits of the bison of the American Great Plains. The family-owned farms responsible for taking care of the animals have turned to rotational grazing as the best solution for the health of the animals as well as the planet. This cattle-raising system does not require the use of antibiotics or hormones and the grass the animals graze on does not need pesticides or any kind of artificial intervention to aid its growth. Simply put, US Wellness Meats provides meat grown in accordance with the laws of nature, not the laws of the market. By bringing you meat that comes from healthy animals that grazed on all-natural grass, this service allows you to improve your diet through consumption of greater quantities of valuable nutrients, like omega-3s, vitamin A, vitamin E, and conjugated linoleic acid. Not only that, but you get to avoid all the nasty artificial substances that can silently harm your health. It is worth noting that the meat is always frozen fresh or freshly chilled to preserve its flavor and nutritional value. If you appreciate this all-natural approach and know others who would like to give US Wellness Meats a try, you can surprise them with gift cards starting at just $25. The company’s online shop is divided into 10 main sections, including Grassland Beef, Grassland & Heritage Meats, Grassland Poultry & Duck, Wild-Caught Seafood, All Organs, Fats, Bones, & Broth, Healthy Snacks, Special Diets, US Wellness Dairy, Grocery & Nutraceuticals, and Pet Food. Let us find out what is hiding in each of these sections. If you opt for grassland beef, you can get frozen steaks, ground beef, burgers, sliders, roasts, franks, jerky, beef snacks, primals, brisket, ribs, stir fry beef, corned beef, stew beef, bacon, sausage, tallow, suet, organs, organ sausages, fresh chilled, not frozen beef, pre-cooked beef, and pemmican (concentrated mix of beef fat and protein). In other words, this section includes basically every beef product you can think of. The Grassland & Heritage Meats category includes grassland bison, lamb, heritage pork, and gourmet rabbit meat, as well as the recently introduced elk and venison products. If you like to mix it up a bit, this section has some mouthwatering delights that you cannot find in just any store. For fans of grassland poultry, the company has prepared whole chickens and chicken parts, soy-free chicken, poultry sausages and jerky, whole turkey and turkey cutlets, ground chicken and turkey, duck fat and meat, and poultry organs and broth. Unlike in supermarkets, here you can find just pasture-raised and free-range poultry that is beaming with flavor. When you are in the mood for some wild-caught seafood, you can get Alaskan sockeye salmon filets, smoked Alaskan sockeye salmon, Alaskan halibut and sablefish, Atlantic Sea scallops, sockeye salmon burgers, all kinds of shrimp, sardines in spring water, and much more. Coming up next is the section where you can find all organs you can or cannot name, along with healthy fats, bones, broths, and gelatins. Often considered as superfoods, the items in this section are 100% clean and good for your bones and overall health. The Healthy Snacks section is super fun and varied, as it contains everything from chocolate to pork rinds. What all the items in this section have in common is that they are junk-free and great for boosting your energy on the go. If you are on a special diet, you may be happy to hear that US Wellness Meats provides plenty of delicious meat and non-meat products for keto dieters and fans of the Whole30 diet, as well as Paleo-friendly, AIP-friendly, and sugar-free items. For those who are not happy with mass-produced dairy that sits on store shelves for too long, the company offers farm-fresh, grass-fed butter and raw cheese. You can opt for anything from Monterey Jack cheese to turmeric superghee. The Grocery & Nutraceuticals section includes sauces, seasonings, nutraceuticals, and produce (produce is available in the US only). If you are not familiar with the concept of nutraceuticals, these include natural dietary supplements, like sockeye salmon oil, trace minerals, detox solutions, and other vital substances known for their health-boosting properties. Finally, we come to natural pet food that is available in the form of Dr. Siegel’s healthy pet and challenged keto pet foods. If your best friend likes ground beef or chicken backs, you are in luck because those are exactly the kinds of meaty treats you can find in this section. So far in this US Wellness Meats review, we have focused on the abundance of options before you. Now it is time to find out how much the items in the company’s online store cost. Of course, with so many products, it is hard to cover everything, so we will try to give you a sense of how affordable the products are by providing a category-based price overview. Beef items start at about $3, which is the price of beef pemmican, a 6-ounce beef patty or half a pound of beef kidney. Of course, the steaks are more expensive, starting at $7.99 per 6-ounce pack. However, you can save quite a bit by opting for larger packages. Grassland and heritage meats generally come in bigger packs starting at about $9 for 1 pound of bacon. However, if you just want a couple of lamb or pork chops, you can get two 6-ounce cuts for about $20. The prices of grassland poultry and duck start at approximately $7, which is the price of a 1-pound pack of sausages. You can opt for small packs or go big with 20-pound packages that cost upwards of $200. Seafood items start at $5.93, which is how much you would pay for 1 serving of Atlantic mackerel. The prices in this section rarely exceed $40, even if you get a couple of pounds of wild-caught shrimp or a pound of scallops. As far as other categories go, we would just like to highlight a couple of items, like cheeses and duck broths that cost about $1 per ounce, butter that cost $5.89 per 8-ounce pack, and pet food that costs about $30 per 5-pound bag. It is important to keep in mind that the company offers regular discounts and there are always plenty of sale items to choose from, so do not miss a chance to grab a good deal on the products you love. Shipping is always free, but handling is not. Every order comes with a $9.50 handling fee. The folks behind US Wellness Meats explain that it is necessary to charge for handling because people who fulfill orders work in serve conditions, with the average ambient temperature of minus 10 degrees. US Wellness Meats delivers to all 50 US states, as well as Puerto Rico and Canada. The products are shipped via FedEx Ground and Express. Once you place your order, you can expect it to be shipped within 1 to 3 days, depending on the day when the order is placed. Packages generally arrive within 24-48 hours from the moment they are shipped. The company provides a tracking number for each order. To make sure US Wellness Meats meets all your standards and expectations, it is important to know its biggest advantages and disadvantages. With a short overview of its pros and cons, you can easily decide if US Wellness Meats is the right company for you. 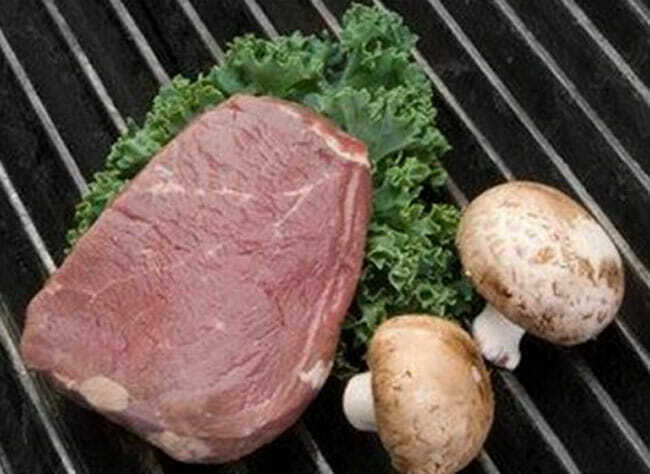 US Wellness Meats is a premium source of all-natural meats and meat products. Its selection includes everything from poultry to elk, it has not neglected to include farm-fresh products that you cannot find at your local store, and it does a great job satisfying the needs of both traditional and adventurous carnivores. The prices are not exactly low, but there are regular discounts and shipping is free, even though handling is not. You can order subscription-free and get a store credit in case something is wrong. 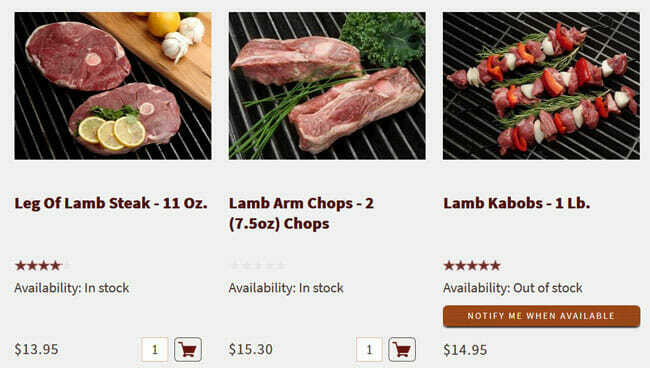 Considering that meat products of such high quality are generally hard to come by and the variety of items available is truly incredible, we warmly recommend stopping by the US Wellness Meats online shop. You are sure to find a whole lot of products that you would love to try and you may even snag a very good deal. Our ratings are the result of an objective and independent evaluation of US Wellness Meats, generating the final rating that reflects the overall quality of the company. Ratings may change as the service changes. US Wellness Meats customer rating based on 3 customer reviews. We found 0 verified US Wellness Meats discounts for April, 2019. If you like US Wellness Meats but aren’t sure whether they are truly the ideal choice for you, you may want to take a look at our comparisons below to discover if one of their competitors is more suitable for you.